"You could have told me earlier on Saturday that you needed to keep the car for Monday. But you did go out of your way to make up for the inconvenience and the results are very good. So overall I'm very pleased and will use you again. 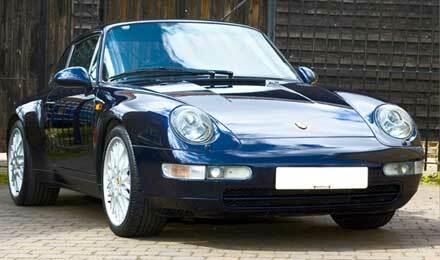 Mr Moore's Porsche had 3 stage paintwork correction and alloy wheel refurbishment. "I got the car from new, this is better than new. I cannot stress how good it was. Gob-smaked! Wonderful! "Work done to a high standard. Very nice finish. " "I am quite happy with the quality of service." No, the car isn't on fire! Roger is using a fogger as the last stage in our odour kill system. 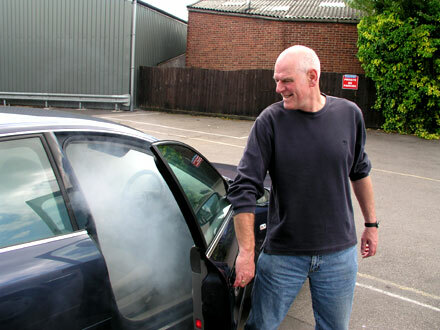 A fragrance is turned to fog and left to fumigate the car leaving a pleasant smell. "Very friendly customer focused service. 'Odour Kill' treatment made major improvement to smoke problem. Good after sales follow-up which involved sending free further bottle of solution to treat very small residual odour (identified as in steering wheel seam stitches) - now virtually undetectable - thanks. Worth the mileage, the free lunch for long-distance travelers was also a nice touch. " Just 27 minutes from Gudea Park! "Excellent - an immaculate service first time, I wouldn't fault it. " "Informative and honest, a good job done. I would be inclined to come back again." "Your staff were polite, efficient and knowledgeable. My calls were returned immediately. My Alloy wheel was repaired very quickly (I dropped the car off at 8am and it was ready by 2pm). 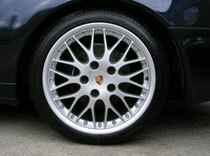 The repair was was invisible to look at - you would not know which wheel had been repaired. You dressed all my tyres free of charge and the car looked great. The finish of the lacquer is not as good as the original - there are one or two air bubbles or dust specks under the paint lacquer but overall I am happy with the result. Thank you, I will come again." The repair to the boot catch was even thrown in for free!! Note - This car had a paint spillage... we only removed the paint that shouldn't have been there!! !